Hedge funds used a tax avoidance technique offered by Wall Street banks for years to skirt federal leverage trading limits, with one well-known trading firm potentially saving $6.8 billion in U.S. taxes, Senate investigators claim in a report released Monday. Companies involved in the practice have pushed back against the Internal Revenue Service, which warned in a 2010 memo against claiming a tax break based on the use of financial products known as basket options. The companies said use of the products to claim lower long-term capital gains tax treatment for trading activity is legal and doesn't violate tax rules or leverage limits under current law. The report by the Senate Permanent Subcommittee on Investigations suggests the practice was widespread in the financial industry over the last 15 years or so, with one hedge fund, Renaissance Technology Corp. LLC, potentially saving $6.8 billion in federal taxes. Investigators said two banks, Deutsche Bank AG and Barclays Bank PLC, sold 199 basket options to more than a dozen hedge funds, which used them to conduct more than $100 billion in trades. The Senate panel will hold a hearing on the report on Tuesday, featuring witnesses from the hedge fund and the two banks.
" Barclays has been fully compliant with the law…and looks forward to continuing that cooperation at the hearing," said a spokeswoman, Kerrie Cohen. Both banks said they cooperated in the Senate investigation. The report highlights growing worries for the U.S. Treasury over use of numerous tax-avoidance maneuvers by hedge funds and other investment funds, which are typically structured as partnerships. In part because of huge paperwork hassles under current law, the IRS audits large partnerships far less often than major corporations, as the new report notes. In particular, the report focuses on use of basket options by two hedge funds, Renaissance Technology Corp. and George Weiss Associates. The report concludes that RenTec alone netted about $34 billion in trading profits through the type of basket options that generates tax breaks and could have saved it $6.8 billion in taxes. "We believe that the tax treatment for the option transactions being reviewed by the PSI is appropriate under current law," said Jonathan Gasthalter, a RenTec spokesman. "These options provide Renaissance with substantial business benefits regardless of their duration." Investigators believe the basket options maneuver amounts to a "series of fictions," the biggest being that the banks own the account assets, said Sen. Carl Levin (D., Mich.), the subcommittee chairman. In reality, the account is basically a trading account, investigators say. Hedge fund Renaissance Technologies has been accused of misusing complex financial structures, with the help of Barclays and Deutsche Bank, to avoid paying more than $6bn in US taxes, the Senate Permanent Subcommittee on Investigations said on Monday. Renaissance is said to have made $34bn in trading profits, while the banks reportedly took more than $1bn in fees, by characterising the gains as long-term capital gains that avoided bigger tax bills, according to the year-long investigation by the subcommittee. Executives of the companies are set to testify before the Senate on Tuesday. Most of the trades conducted by Renaissance and at least 12 other hedge funds were short-term transactions, with some lasting only seconds, the Senate report said. But the so-called “basket options” of securities were in accounts held for at least a year, allowing the profits to be claimed as long-term capital gains, which are subject to a 20 per cent tax rate. The securities were also held in options accounts instead of traditional prime broker accounts, which are subject to an ordinary income tax rate of as high as 39 per cent that would apply for daily trading gains. The report is the Senate’s latest probe of what it sees as efforts by companies, banks and investors to avoid taxes or to help their clients evade such charges. The subcommittee has also held hearings involving Apple, Caterpillar and Credit Suisse. “These banks and hedge funds used dubious structured financial products in a giant game of ‘let’s pretend’, costing the Treasury billions and bypassing safeguards that protect the economy from excessive bank lending for stock speculation,” said Carl Levin, head of the subcommittee. He added that the banks and hedge funds created an “alternate universe” based on “fiction”. Tax experts argue that such structures are not illegal and that it is up to lawmakers to change tax rules if they do not want hedge funds to use basket options. Legislators have considered revamping the tax code, including putting a halt to tax inversion – where US companies use M&A to move their headquarters to more friendly tax regimes, but it has been difficult to come up with a compromise and a broad tax overhaul is unlikely this year. Both the banks and Renaissance maintain that the tax treatment in question was compliant with applicable laws. The subcommittee focused on Renaissance because it said the hedge fund was the biggest buyer of such basket options, but Senate staffers said it was unclear whether the practice was widespread. The funds conducted more than $100bn in trades over 10 years and avoided leverage limits that were aimed at protecting the financial system, the Senate report said. The IRS issued guidance in 2010 warning investors that profits from these transactions should be counted as short-term gains. The IRS has been negotiating with Renaissance over the past several years over the tax issue. Barclays sold the products only to Renaissance and stopped offering them in 2013. “Barclays has been fully compliant with the law, has co-operated with the committee and looks forward to continuing that co-operation at the hearing,” the bank said in a statement. The improper use of this structured financial product, known as basket options, is the subject of a 93-page report released by the Chairman and Ranking Member of the U.S. Senate Permanent Subcommittee on Investigations, Senator Carl Levin, D-Mich., and Senator John McCain, R-Ariz., and will be the focus of a Tuesday hearing at which bank and hedge fund officials and tax experts will testify. 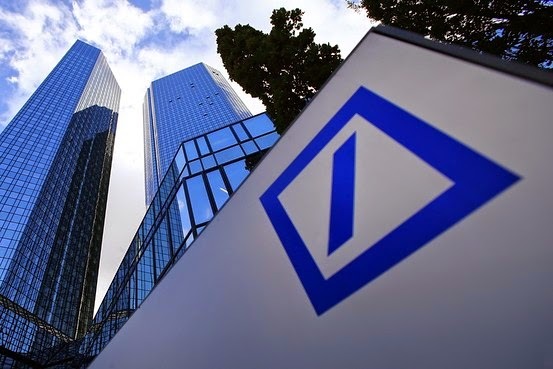 The report outlines how Deutsche Bank AG and Barclays Bank PLC, over the course of more than a decade, sold financial products known as basket options to more than a dozen hedge funds. From 1998 to 2013, the banks sold 199 basket options to hedge funds which used them to conduct more than $100 billion in trades. The subcommittee focused on options involving two of the largest basket option users, Renaissance Technology Corp. LLC (“RenTec”) and George Weiss Associates. The banks and hedge funds used the option structure to open proprietary trading accounts in the names of the banks and create the fiction that the banks owned the account assets, when in fact the hedge funds exercised total control over the assets, executed all the trades, and reaped all the trading profits. The hedge funds often exercised the options shortly after the one-year mark and claimed the trading profits were eligible for the lower income tax rate that applies to long-term capital gains on assets held for at least a year. RenTec claimed it could treat the trading profits as long term gains, even though it executed an average of 26 to 39 million trades per year and held many positions for mere seconds. In 2010, the IRS issued an opinion prohibiting the use of basket options to claim long-term capital gains. Based on information examined by the subcommittee, tax avoidance from the use of these basket option structures from 2000 to 2013 likely exceeded $6 billion. In addition to avoiding taxes, the structure was used by the banks and hedge funds to evade federal leverage limits designed to protect against the risk of trading securities with borrowed money. Leverage limits were enacted into law after the stock market crash of 1929, when stock losses led to the collapse of not only the stock speculators, but also the banks that lent them money and were unable to collect. Had the hedge funds made their trades in a normal brokerage account, they would have been subject to a 2-to-1 leverage limit – that is, for every $2 in total holdings in the account, $1 could be borrowed from the broker. But because the option accounts were in the name of the bank, the option structure created the fiction that the bank was transferring its own money into its own proprietary trading accounts instead of lending to its hedge-fund clients. Using this structure, hedge funds piled on exponentially more debt than leverage limits allow, in one case permitting a leverage ratio of 20-to-1. The banks pretended that the money placed into the accounts were not loans to its customers, even though the hedge funds paid financing fees for use of the money. While the two banks have stopped selling basket options as a way for clients to claim long-term capital gains, they continue to use the structures to avoid federal leverage limits. Data provided by the participants indicates that basket options produced about $34 billion in trading profits for RenTec alone, and more than $1 billion in financing and trading fees for the two banks. The Levin-McCain report includes four recommendations to end the option abuse. The IRS should audit the hedge funds that used Deutsche Bank or Barclays basket option products, disallow any characterization of profits from trades lasting less than 12 months as long-term capital gains, and collect from those hedge funds any unpaid taxes. To end bank involvement with abusive tax structures, federal financial regulators, as well as Treasury and the IRS, should intensify their warnings against, scrutiny of, and legal actions to penalize bank participation in tax-motivated transactions. Treasury and the IRS should revamp the Tax Equity and Fiscal Responsibility Act regulations to reduce impediments to audits of large partnerships, and Congress should amend TEFRA to facilitate those audits. The Financial Stability Oversight Council, working with other agencies, should establish new reporting and data collection mechanisms to enable financial regulators to analyze the use of derivative and structured financial products to circumvent federal leverage limits on purchasing securities with borrowed funds, gauge the systemic risks, and develop preventative measures. Panel 1: Steven Rosenthal, senior fellow at the Urban-Brookings Tax Policy Center; and James R. White, director of tax issues for the Government Accountability Office. Panel 2: Martin Malloy, managing director at Barclays; Satish Ramakrishna, managing director at Deutsche Bank Securities; Mark Silber, executive vice president, chief financial officer, chief compliance office and chief legal officer at Renaissance Technologies; and Jonathan Mayers, counsel at Renaissance Technologies. Panel 3: Gerard LaRocca, chief administrative officer for the Americas at Barclays and CEO of Barclays Capital; M. Barry Bausano, president and managing director of Deutsche Bank Securities; and Peter Brown, co-CEO and co-president of Renaissance Technologies. Welcome to the wonderful world of tax arbitrage, a source of enormous profits for banks, hedge funds, investment funds and corporations. If there is a way to avoid paying taxes, rest assured banks will find it and aid their clients, including overpaid hedge fund managers, in dodging taxes. As I read this, a few thoughts came to mind. First, the tax rules need to change to put an end to such blatant abuses. Second, stop treating all hedge funds equally. If Renaissance Technologies wants to trade a million times per day, fine, tax them accordingly. Third, this is more evidence that the financial elite skirt their share of taxes using any means possible, adding to Piketty's thesis on the 1%. Below, Senator Bernie Sanders addresses The New Populism Conference in Washington, D.C. (May, 2014). Love him or hate him, Bernie cuts through the crap and tells it like it is. America's oligarchs are raking in billions, avoiding their fair share of taxes, and the middle class is being obliterated. And we wonder why the recovery is weak?